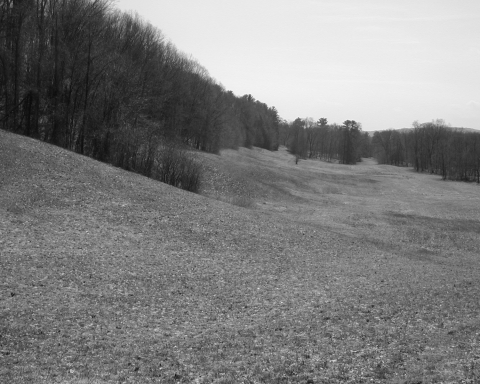 Recently this blog visited Hyde Park and found that the whole town is a heap of ice age sediment which was deposited as two deltas within Glacial Lake Albany by an ancient version of Crum Elbow Creek, the stream that flows right through the Vanderbilt Estate in the middle of town. 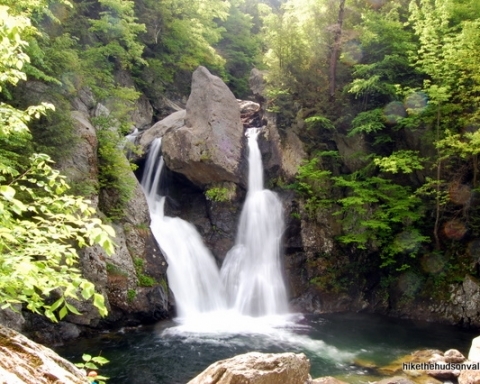 This week, let’s visit something very much akin to this on the other side of the Hudson Valley. 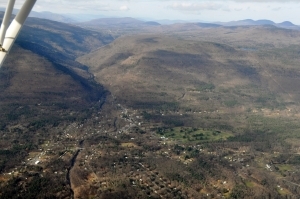 Let’s visit the town of Palenville, which is found at the very base of Kaaterskill Clove. Recently, I had the chance to do it by air. My wife and I live next to the Freehold Airport operated, by the Nutmeg Soaring Association, a glider club. I managed to bum a ride into the Catskills. You can see a lot up there and much of it is invisible from the ground. Kaaterskill Clove with Palenville alluvial fan below it. Palenville is one of those Catskill towns with an extensive historical heritage. It has been a place where visitors have long begun their ascent into scenic Kaaterskill Clove. Originally a tough trek, nowadays there is a modern highway so the journey is easy. 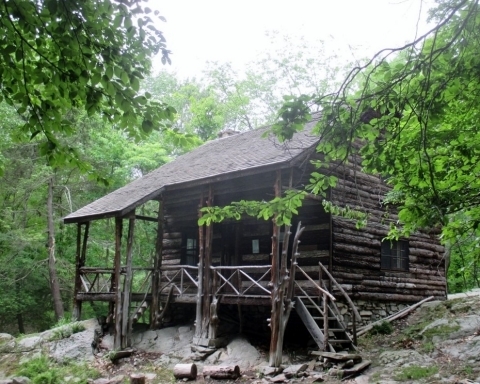 In the 19th Century Palenville became an artist’s colony. 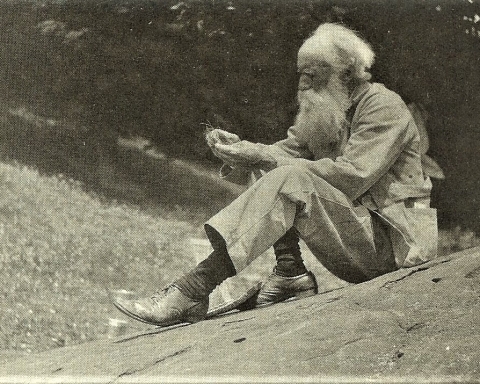 Artists of the famed Hudson Valley School of art commonly spent their summers there and devoted themselves to sketching and painting the area’s scenic landscape. A lot of very good work was done in the vicinity of the clove. Palenville has always seen a great number of tourists passing through on their ways to the mountains. Today hikers frequent the town. 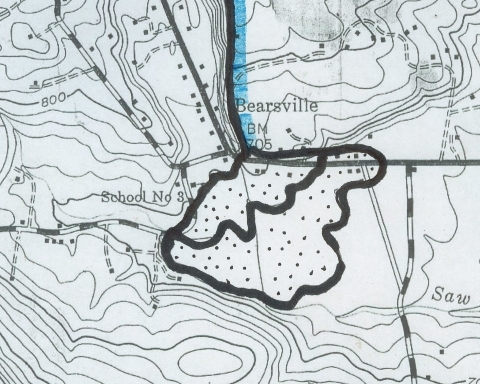 Geologists have long been drawn to Kaaterskill clove to view its landscape with a more scientific eye. That’s where I fit in to the story. I love to hike the clove and the mountains north and south of it. There is an awful lot of very good geology to be seen here. So, when I got the chance to fly over it, I welcomed the opportunity. I had a pretty good idea of what I would see and I looked forward to it. Kaaterskill Clove is a great gash in the Catskill Front. Most of it was carved during the Ice Age, especially during the closing phases of that time. Melting glaciers provided enormous amounts of water that cascaded down the canyon, eroding it. Think of it as an oversized gulley! 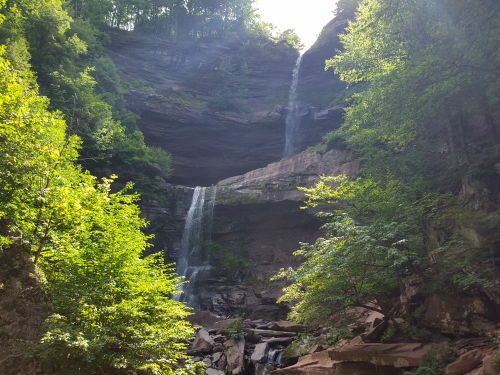 Kaaterskill Clove had been there before our most recent ice age. It probably began eroding at the end of a previous ice age chapter. But about 13,000 or 14,000 thousand years ago there was another time of melting . . . and another time of erosion. You have to visit the clove and imagine it with deafening masses of raging, foaming, pounding whitewater thundering down its canyon. Erosion would have been going on at an alarming rate. Where there is erosion, the destruction of rock, then there must also be the production of equally large masses of sediment. Rock is converted into sediment on a nearly one-to-one basis. The newly formed sediment must be deposited somewhere. That is exactly what I was going to see. Palenville has long been recognized as something that is called an “alluvial fan.” That is a large, fan-shaped heap of earth. The earth of an alluvial fan spreads out across a dry valley floor at the bottom of the sediment’s source. In this case, large amounts of sediment traveled down an eroding Kaaterskill Clove and then spread out into a fan shape heap at the bottom of that clove. There was no ice age lake in Palenville so no delta formed here as did at Hyde Park and that is why an alluvial fan is different. It has no flat top as does a delta; it is all slow, gentle slopes. 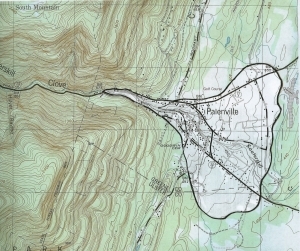 Map of Palenville alluvial fan. A trained geologist can recognize such a feature on any good topographical map, and I did this a long time ago. But now, I was up in a plane, and there it was. As we flew by I gazed into the great wide yawning clove. And spread out before it was the alluvial fan. I could recognize three roads that I knew. These were Bogart Road, Rt. 23A, and Rt. 32A. The three of them radiated out from the bottom of the canyon and spread out across the top of the fan. Nobody knew it at the time but as laid out those roads all descend the gentle slopes of the alluvial fan.